Everyone sheds; it’s part of the human condition, and indeed, part of the lives of most (if not all) mammals. As hair follicles regrow new hair, old ones are shed; it’s a healthy part of cellular rejuvenation. So most hair loss is never even noticed, because more hair grows in its place. Noticeably thinning hair indicates a larger problem, beyond the normal regenerative processes of the human body. While most people automatically point to genetics as the cause of thinning hair, there is actually a wide variety among the many reasons for hair loss. Genetics are only one cause. Hormonal changes are the biggest cause of hair loss, and this is particularly evident in women who suffer from it. It’s common for women to experience dramatic hair loss following childbirth; during pregnancy, women often stop the shedding process altogether, so, following childbirth, the body reboots itself, including the cellular regeneration of hair. Menopause is another major female hormonal event that can cause hair loss. Issues with the thyroid contribute to major hair loss as well; at either end of the spectrum, from hypothyroidism (not enough of the thyroid hormone) to hyperthyroidism (too much of the thyroid hormone). Thyroid disorders actually offer an excellent snapshot of what causes hair loss: hormonal imbalance. It’s not too much of one particular hormone and not enough of another; rather, the issue is one of balance. Stress is another cause of hair loss, one that certainly throws your whole body out of balance. This includes both emotional and physical stress. Physical stress might include surgery,, blood loss, high fevers, and other illnesses. Emotional stress, while less researched, is definitely an equally important factor. Anxiety, depression, and other types of mental stress all contribute to hair loss. This is in some ways the easiest cause of combat; alleviating stress can happen through dietary changes, exercise, and meditation, among many other options. Side effects of medication are also a factor in hair loss. 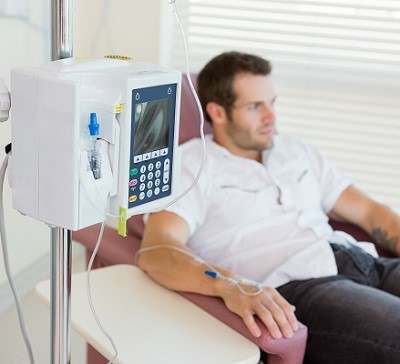 Certainly the most dramatic effects are seen from chemotherapy, but many other drugs cause this side effect as well. Examples include anti-seizure drugs, antidepressants, anticoagulants, beta-blockers, thyroid medications, and some forms of hormonal birth control. A diet deficient in zinc and iron is another major factor in hair loss. But there are other nutritional deficiencies that have come under scrutiny recently as well. Evidence suggests that a diet lacking in vitamins A, B12, C, D, and/or copper, selenium, and biotin, are also contributors to hair loss. It’s obvious from the dietary issues that this, too, is about balance. Finally, there are many medical conditions that carry hair loss as an unfortunate side effect. Lupus, renal failure, inflammatory bowel disease, and liver disease all instigate hair loss. Skin conditions are culpable, with psoriasis and dermatitis being two that occur regularly on the scalp. Ultimately, even though hair loss may seem like a relatively inconsequential condition, it can lead to lowered self-esteem, depression, and anxiety. With all of the available options, a visit to your practitioner is an excellent place at which to begin.